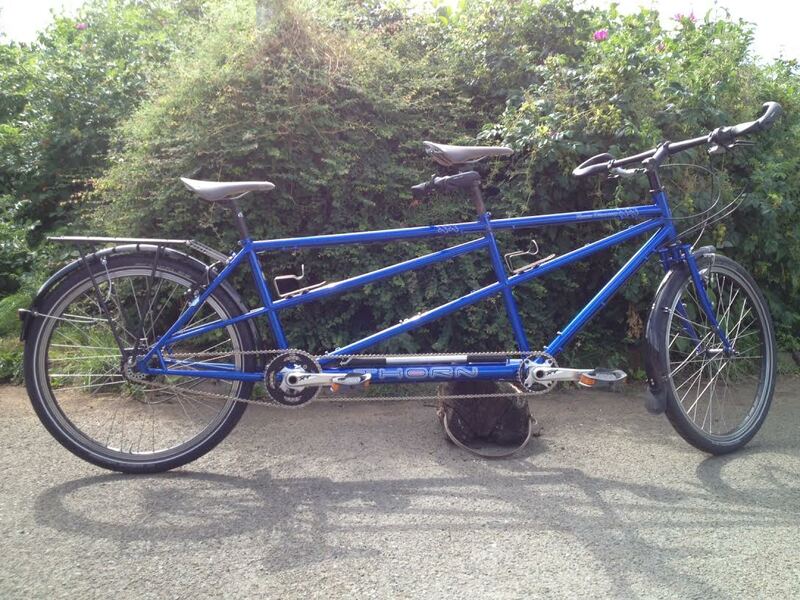 A charge of £5 applies for delivery of tandems, for one-day hire only. 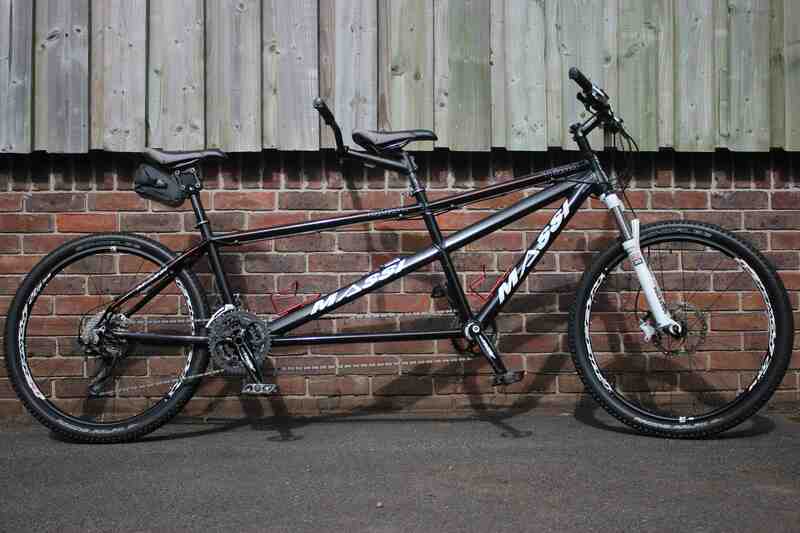 Mountain Bike tandem bike with front suspension, and disc brakes for extra stopping power. 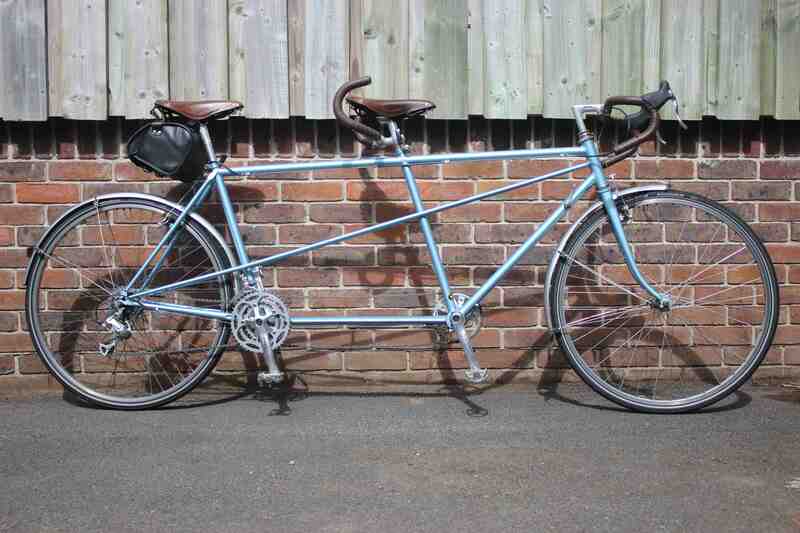 After a long hibernation in a nearby shed, our local scrap metal man offered us a sorry-looking Peugeot tandem frame last year. Now lovingly-restored, our Peugeot Tandem is a sleek and speed-oriented vintage machine with the frame resprayed in Drover blue! Brooks saddles and saddle bag for practicality and vintage style! 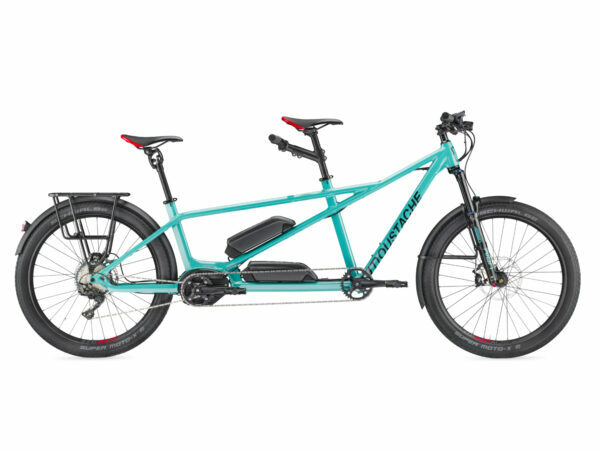 Our electric Tandem you can ride as a couple, a family, with friends, there’s no limit to happiness on the saddle of the Samedi 27X2. With its two batteries with a total capacity of 1000Wh you’ll have an incredible battery life – 2X further!